Dubai Cinemas is a free Windows 8 movie app which will help you to catch your favorite upcoming movies on your nearby theaters or Cinema House. Like there are a number of occasions when you are about to watch a new movie and you are not sure which Cinema to choose or where its going to be played. And you have to browse over and over on the Internet to find the appropriate Cinema House but you exactly don’t know where to browse. Well, if you are running out of time, just switch to this Windows 8 app and check out the latest movie buzz in your nearby cinemas around you in Dubai. 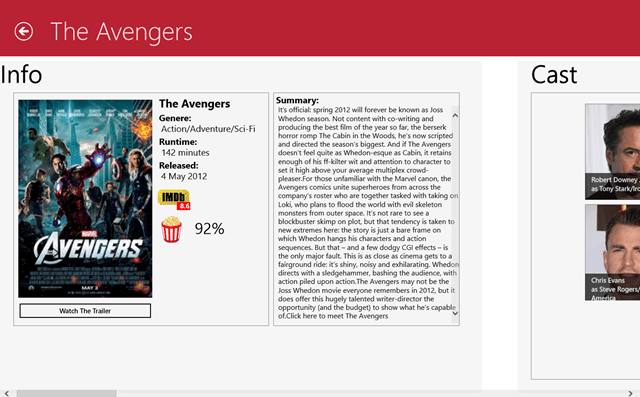 Well, it’s quite a brilliant Windows 8 movie app, you can not only check the show timings but you can also watch the movie ratings and the critics about that specific movie. Checkout the cast and crew of the movie and get to know about them by reading their bios. You can also check the cinemas nearby you in a list and what movies are they playing. Similar apps: Dubai App, Video App. You can see the cool interface above, you can easily check the ratings on IMDB and what genre it is. Can watch out the trailer by yourself with this movie app for Windows 8 and can also view the photographs of the respective movie. 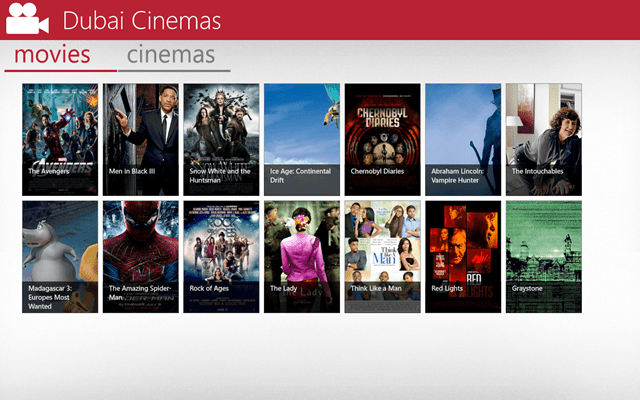 Plus, you can also check out the timings as that’s what this Windows 8 movie app is all about. In addition to that, you can also check out the show timings with respect to the movie theaters. Like if you want to know what movie is being played at your nearby cinema, just click on the Cinema Tab and watch out the show timings there. 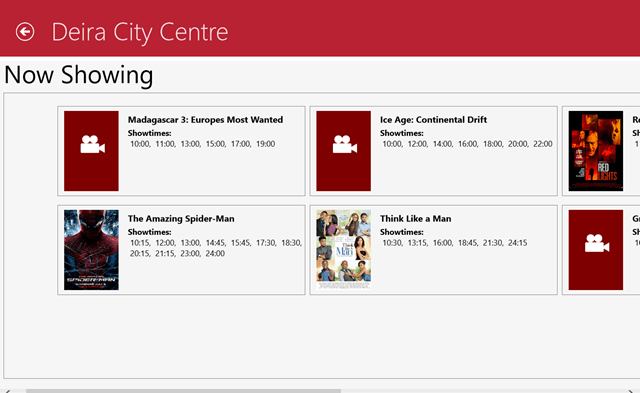 In a nutshell, this Windows 8 movie app is quite a handy one to get the show timings at the cinemas if you are in Dubai. Go ahead and search for Dubai Cinemas movie app and install it on your Windows 8 desktop and don’t run late for your movies.